CHIAVARI, Italy - "God Bless America", my grandmother used to say. My grandfather used to say something else about America, and it wasn’t good. She was thrilled to be there and he, well that's another story. 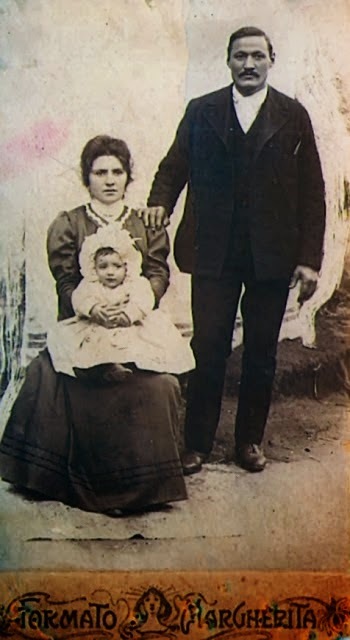 This story is about my grandparents who were two of the two million Italians who immigrated to the United States at the beginning of the 1900’s. My grandmother was fiercely proud of her heritage. She loved Italy; she loved everything about it: the food, the traditions, the closeness of her family. She just didn't want to live there, and mostly she did not want to raise her children there. She was not alone. 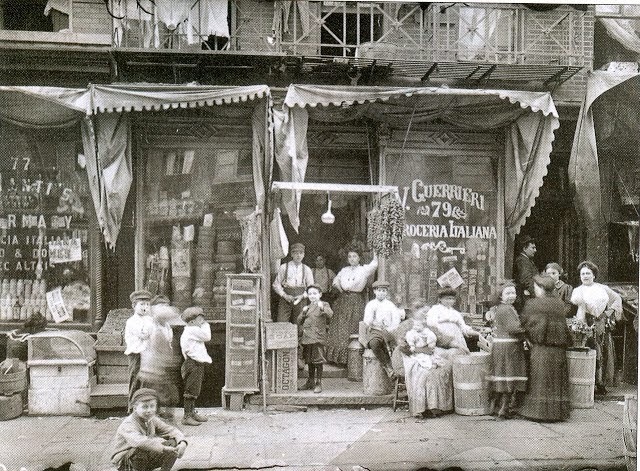 Between 1870 and 1920, close to 5 million Italians boarded steamships for America. 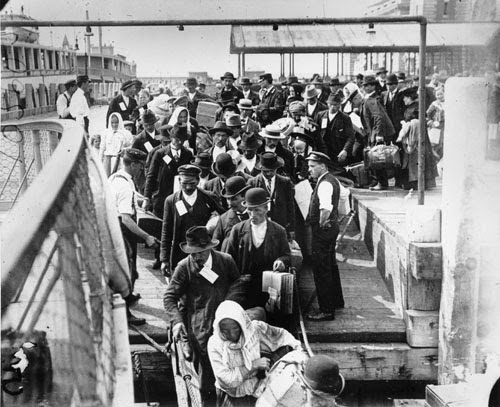 Only Germany matched that exodus - one of the largest immigrations in modern history. 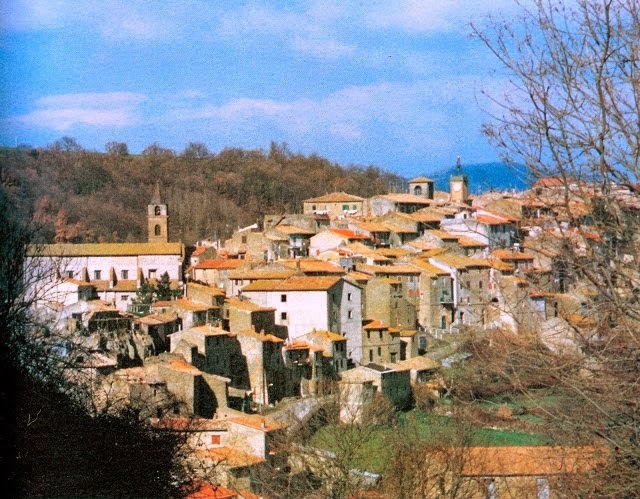 Whole towns in Southern Italy, and some of the poorest areas of the Veneto and Tuscany, were emptied as people jumped at the opportunity for a better life. And yes, maybe even riches. In all fairness my grandmother and her family were not starving, it was just that she saw America's open immigration policy as a once in a lifetime opportunity not only for her children, but for herself and my grandfather as well. 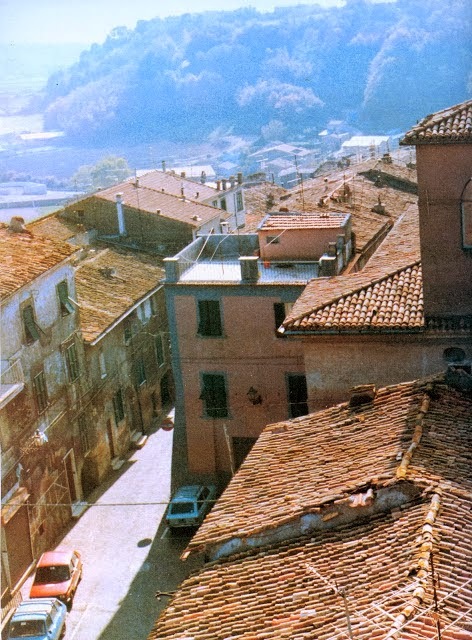 My grandfather was a furniture maker, but in the impoverished province of Lazio, there was little money for furniture. To supplement the family income he had turned to making wine barrels and was managing to make ends meet, but barely. And then one day a stranger came to town with an offer my grandmother couldn’t refuse. The stranger was an agent. His job was to travel throughout Italy spreading the golden image of America, rich and generous, democratic and open, a country with endless possibilities for success. And best of all the company the agent worked for would take care of the paperwork. It was an irresistible combination: yes, the agents were salesmen for the steam ship companies but the product they were selling was good. So my grandmother made a plan. My Grandfather, and her brother, Joe Bronzetti, would go to America first. They would get jobs – which according to the agent there were plenty of - earn money, buy a house and then send second class steamer tickets for her, my father and my Aunt Louise, who was just a baby. My grandmother really wanted to go to America but not in steerage. I don’t know how much resistance there was to her idea, all I know is that on Feb 18. 1913 my grandfather, and his brother-in-law Joe were walking around in that land called America. As soon as they stepped off the boat in New York the two men were offered work. The Pennsylvania Railroad was being built and the railroad company needed men to lay railroad tracks. So my grandfather and Uncle Joe signed on. The company offered to provide food and inexpensive shelter along the way, the cost of which would be deducted from their pay. When the project was completed they would get the money they had earned, less their expenses. You probably already know the end of the story. When the project was completed, there was no money. The paymaster had skipped town and had taken the payroll with him. They were destitute. My grandfather and Uncle Joe had heard from other Italians they had met while working on the railroad that some families from the province of Lazio had settled in upstate New York, in a town called Siracusa. Their only hope was to try to get to Syracuse and meet up with others from their hometown. Stranded in a foreign country, and unable to speak English, the two men left Reading, Pennsylvania and began walking north. To survive the 233 mile journey they were forced to beg for food and shelter along the way. 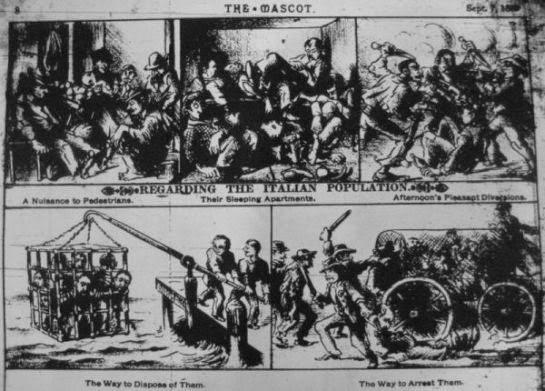 Anti-Italian newspaper articles published at the time claimed that Italian immigrants, especially those from Southern Italy, seemed to beg for the pure pleasure of begging. Obviously they never met my grandfather and Joe. When the two men got to Syracuse they found work, got settled and bought a house. A year later, on April 14, 1915, my grandmother, my father and my Aunt Louise boarded a ship bound for America. Uncle Joe went on to own a string of bars, and I doubt there is an old timer from the north side of Syracuse who doesn’t recall with nostalgia hanging out in Joe’s Bar and Grill on Lodi Street, including yours truly. In few other countries in the world have the Italians had as much success as those who went to America. 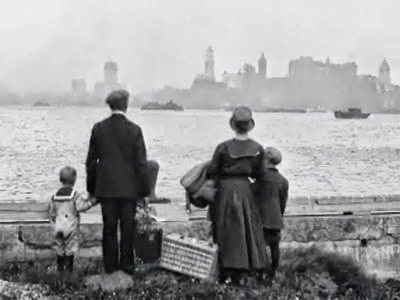 The children, grandchildren and great grandchildren of the factory workers, masons, laborers, and waiters who landed on Ellis Island in the early 1900’s have gone on to become senators and governors, lawyers, doctors, engineers and managers, and yes even journalists. With their sweat and tears they built America. They are the embodiment of the American dream. It was not easy being Italian in those days. Italians were looked down on and discriminated against. It may have started when they first arrived in America and were willing to take any type of work offered and work under the most horrible conditions. And so they were seen, not just as gangsters, but as unintelligent and only useful as menial laborers. What their critics didn’t understand was that the Italians didn’t care what kind of work they were doing, or that they were starting out on the ground floor. It was just a stepping stone. They were willing to sacrifice and suffer for the generations to come, to make life easier for me and for many of you reading this post today. And so they did what they had to do and the hell with what people thought about it. What brought on this wave of nostalgia are the Columbus Day celebrations that will take place across America today and tomorrow as thousands of us, the descendants of those who sacrificed and suffered to get to America, celebrate Columbus' discovery. They are important days for Italian-Americans because with these celebrations we show our pride in being Italian, and we have a lot to be proud of. There are now between 25-50 million Italians in America, three million just in the metropolitan New York area, 5 million in the Tri-State area of New York, New Jersey and Connecticut. And according to a study by the Angelli Foundation, the average income of Italians in America is now 25% higher than that of the average American. Imagine that. The population that was once looked down on, laughed at and called gangsters and beggars has become 25% richer than the average American. Who’s laughing now? A few years ago, on a trip back to the United States, I spoke with a number of Italian-Americans. Many of them had never visited Italy and they were interested in hearing about life in Italy today. In talking to them I could hear how curious they were about the land their families left more than a hundred years ago. It was nice. It was also a major factor in my decision to start this blog. Also nice are the Italian-American Facebook pages where we Italos celebrate our Italianness and keep the customs and traditions alive that our grandparents and parents brought with them in their search for a better life in this country called America. Happy Columbus Day.